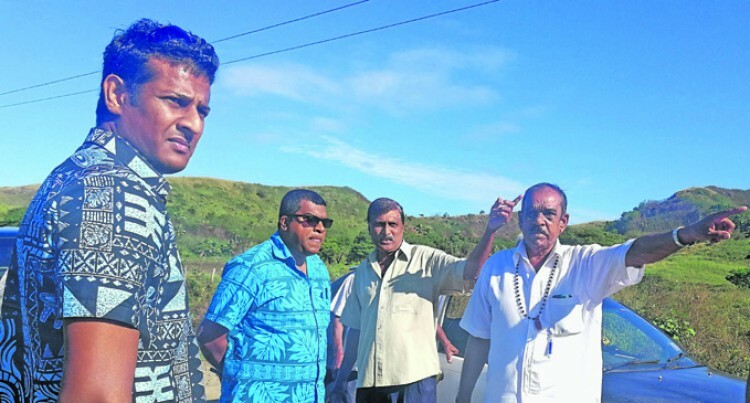 The Minister for Waterways, Mahendra Reddy, is frustrat­ed with what he calls the ig­norance of some farmers for dump­ing rubbish and planting crops such as dalo in drains. During his visit to Waibogi Set­tlement, a 45-minute drive from Si­gatoka town, he directed a farmer in the area to pull out all the dalo planted in a drain nearby. “We are trying our best to help by clearing all drains, especially the ones near the roads, because it has been clogged with mud and debris. But I am asking people not inter­fere with the drainage systems by refraining from dumping rubbish or planting crops in these drains because these are our properties,” Mr Reddy said. He added that some people had the tendency to dump their rubbish in drains which then made the minis­try’s work quite difficult at times. “When the drainage system is clogged it affects water flow and makes it stagnant. This is the rea­son some areas get heavily flooded during rainy weather,” Mr Reddy said. Waibogi settlement resident 42-year-old Ajeshni Sharma thanked Government for fixing the drainage system in their farming community. “The drainage system in this com­munity hasn’t been fixed over dec­ades and when it rains the roads are flooded. During rainy days our children aren’t able to attend school because the roads are flooded and floodwaters come up to chest level,” she added.